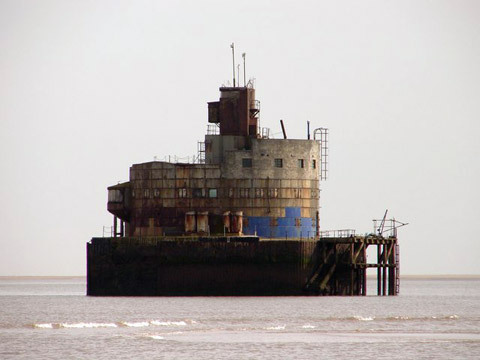 The two hexagonal sand forts were built in 1915 as a defence for the Humber Estuary. The largest is Bull Sand Fort (left) which stands 50 foot above sea level on a sandbank in the middle of the river towards Spurn Head. Haile Sand Fort (below) is a short distance from the Lincolnshire coast shore and is smaller in size. 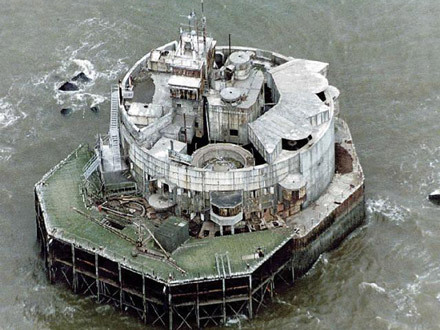 They are made of concrete with thick armour plating and were very expensive to build because of the difficulty in laying the foundations off shore. They remained in use until 1956.